Size: 15 x 19.5 cms. 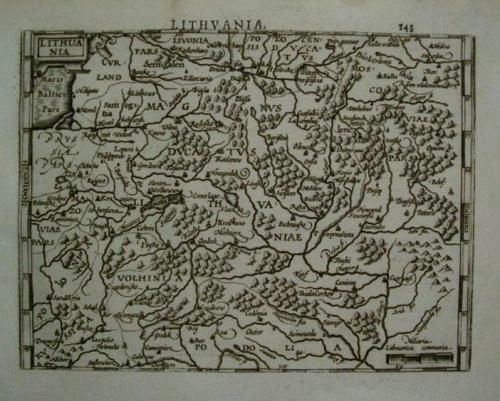 Title: 'Lithuania'. Verso Latin text. An elegant and intricate map. In very good condition. Margins slightly age toned.